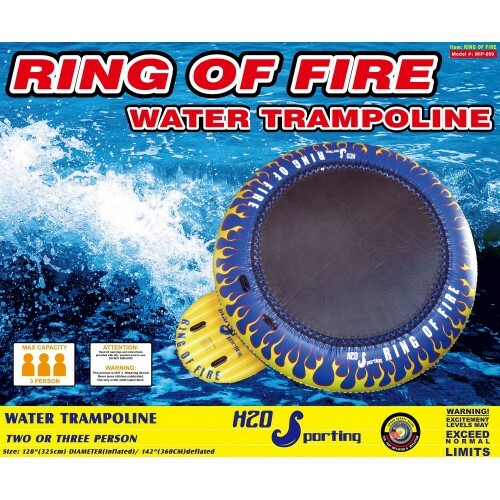 PLEASE NOTE: You will not get the same bounce off the water trampoline as you would with a spring loaded land trampoline because is it is on water and without springs. It will add about 1 foot to your vertical and don't expect anything more. The amount of bounce provided is not an acceptable reason for return after it has been opened and used.